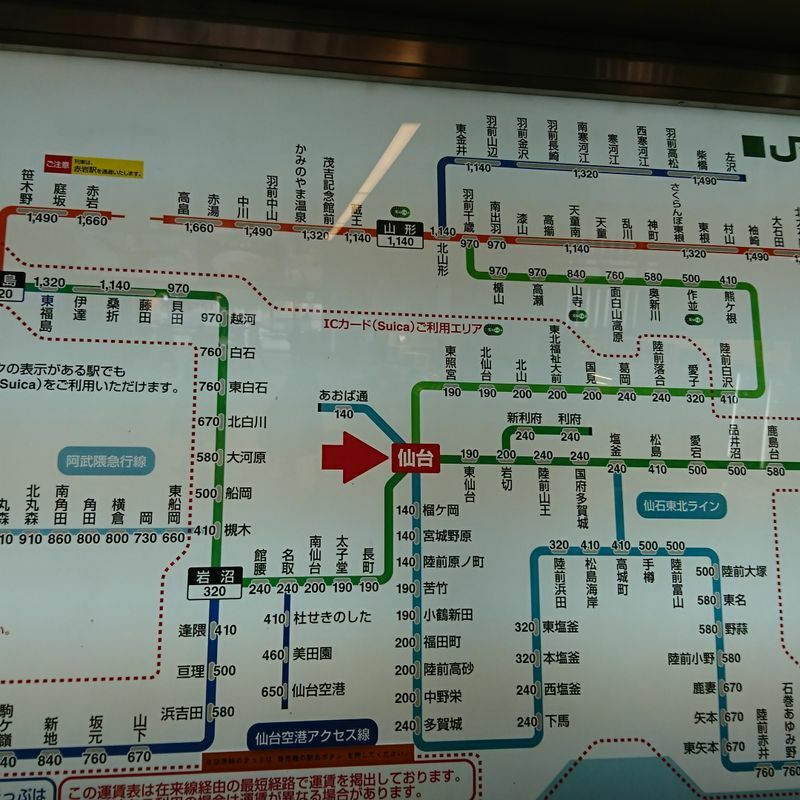 Foreign visitors to many major cities in Japan can delight in seeing most train stops laid out in detailed maps that include simplifications of the giant kanji names usually including roman letters. Unfortunately for the less-than-fluent traveler, not all stations, cities, and train lines follow this example. Even bustling Sendai leaves the kanji-illiterate in the lurch with the JR line map displaying lots of information but not so much as one western letter outside of the Japan Rail logo. This can make things difficult as buying a train ticket from a machine requires knowing the amount of money needed for the ticket. Even for those with Suica, this region's transportation charge card of choice, knowing the cost helps to keep things topped up and ready for the rails. At the very least, it pays to know what train line you need to get on when departing from a larger station, and this isn't always easy to catch as it flashes across a changing departure screen. For those lacking in kanji skills but overflowing with appetite for Miyagi's amazing adventures by train, here is a short guide to the place names, prices, and number of stops you'll need to wait to see them on the local Senseki Line 仙石線 (light blue on the map) for a fantastically well-informed trip. Around this central station you'll find loads of small and fun things including the "Loople" tourist sightseeing bus and the shopping arcades, which include some fun regional delicacies and an owl cafe. If you're on your way to a Rakuten Eagles baseball game, this is the stop for you. Four minutes, 140 yen and two stops from Sendai. Tagajo Station is right next to a great library with a great kids area and a pretty fantastic restaurant on the third floor. On the other side of the station, you can catch a bus to the Kirin Brewery. 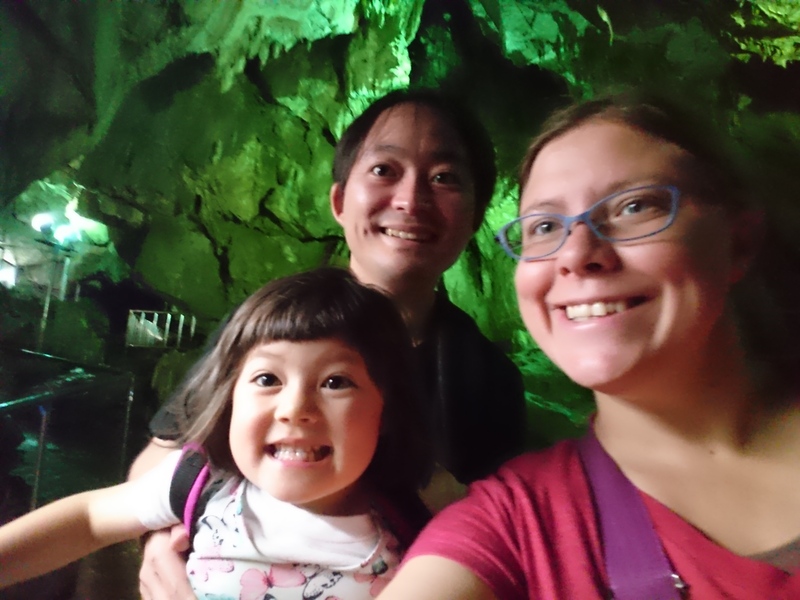 Twenty-one minutes, 240 yen and nine stops from Sendai. This is the stop for Shiogama Shrine and Marine Gate, where you can take a ferry to the outlying islands or Matsushima. Don't forget to pick up some moshio at the somewhat hidden souvenir shop near the station. Thirty minutes, 320 yen and twelve stops from Sendai. A great tourist area for seeing the third best view in all of Japan from the comfort of Kanrantei tea house, enjoying Godaido Shrine, Entsuiin gardens and Zuiganji temple. You can even paint your own kokeshi doll and walk a long bridge out to an uninhabited island. Forty minutes, 410 yen and fifteen stops from Sendai. This little fishing town is home to a manga museum celebrating the work of local born artist Shotaro Ishinomori. Many statues celebrating his creations can be spotted about town. This is also where the San Juan Batista ship built by Date Masamune in 1613 is permanently docked, though it cannot be boarded. A taxi from this station can also take you to the ferry terminal for Tashirojima, the Cat Island of Miyagi. The local Senseki line takes one hour and twenty-five minutes to cover the 30 stops between Sendai and Ishinomaki, but a faster Senseki-Tohoku Line Rapid 仙石東北ライン快速 also runs from Sendai to Ishinomaki and takes only fifty-eight minutes to cover its thirteen stops. The cost for this trip is 840 yen either way.